Having been through one of the most tumultuous winters in recent memory, many of us are welcoming the extended hours of daylight and the warmer temperatures. However, these conditions lend themselves to the melting of substantial amounts of snow. 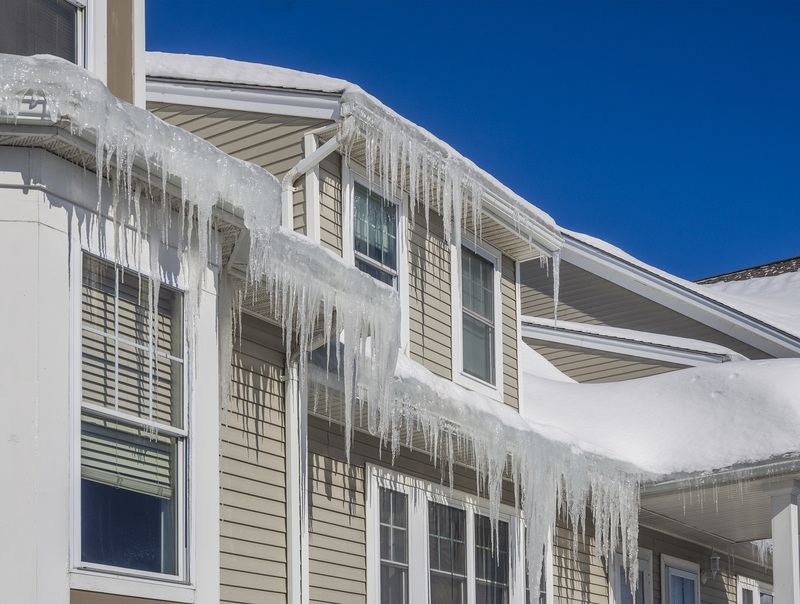 If not properly filtered away from your home, the snow can end up causing thousands of dollars in damage if it penetrates the interior of your home. Here are three tools you need to have in your arsenal to keep your home dry this spring. A home absent of rain gutters is unable to divert snow melting off your roof away from your home. If gutters are clogged with organic debris, water entering them will spill over, and pool near your home’s foundation or crawl space. Not only can this cause cracking to the foundation, but it can eventually lead to a wet basement. Clogged gutters also result in a surplus of water hitting your home’s wooden fascia board. Overtime, rotting can take place, causing your gutters to pull away from your home, rendering them useless. Basic gutter systems are pieced together with seams. The problem with this is that over time, seams weaken. Eventually, water is able to leak through before it can reach the gutter’s downspouts. When evaluating the effectiveness of your home’s downspouts, be sure they are long enough to filter far away enough from the home to prevent basement water damage. In addition, be sure hinged downspouts are in an open position and not tucked up next to the house. 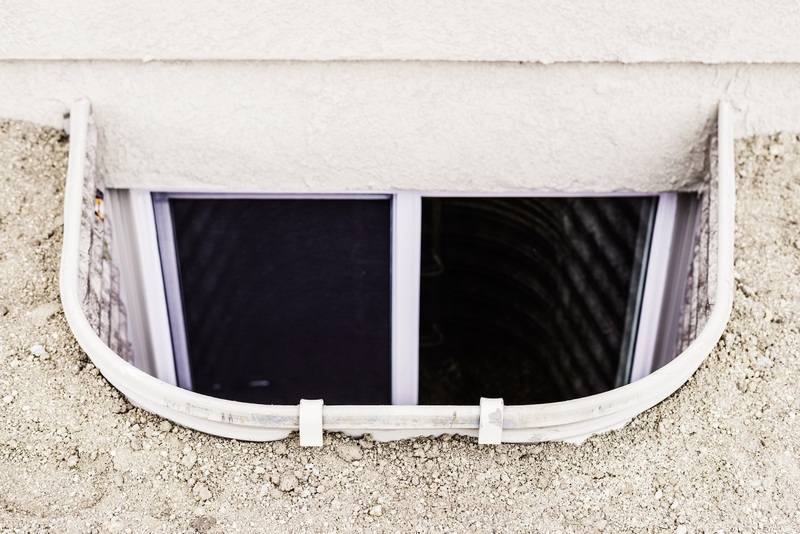 An area that’s vulnerable to flooding is your home’s egress window wells. In order to prevent flooding the house windows themselves must be properly installed. In addition, a window well comprised of galvanized steel should be installed around the window to act as a barrier for melting snow and rainwater. The depth and size of the window well must take into consideration the dimensions of the egress window. Moisture that enters the soil surrounding your home raises the level of the water table. If the water table increases to a level higher than the floor in your basement, the water can filter into the basement without a properly working sump pump. Be sure yours is in good working order by unplugging it and plugging it back in immediately to see if it turns back on. Battery back-ups ensure that a sump pump continues to run even if the power goes out. Underperforming gutters were wreaking havoc on this 1920's stucco home's sheetrock and foundation. Learn how the installation of LeafGuard® Brand Gutters prevented thousands of dollars in costly home repairs. A nonagenarian and a World War II veteran, he had reached out to our company because he wanted an attractive, worry-free, and long-term solution for his home’s gutters. Here’s how LeafGuard® Brand Gutters were able to remedy the situation. Having tried both open style gutters and gutter toppers, this homeowner reached out to us to see if LeafGuard® Brand Gutters could be solution to his home needed! "I appreciate their reliability and quality of work." - Natalie R.
"We have been very pleased with the workmanship and the craftsmen that have worked on 2 of our homes in the past. " - Tom L.
"Your installers that have been here were all very top notch employees of your company. I would recommend them to anyone in a heartbeat. Nathan by far was the best installer I dealt with. He is a true asset to your company." - Dennis Z. "The guys work diligently and finished in the appropriate time. They were conversive and answer all my questions. I would certainly recommend Lindus Construction." - Deb D.
"You guys did a great job. Thanks so much." - Marty & Jo W.